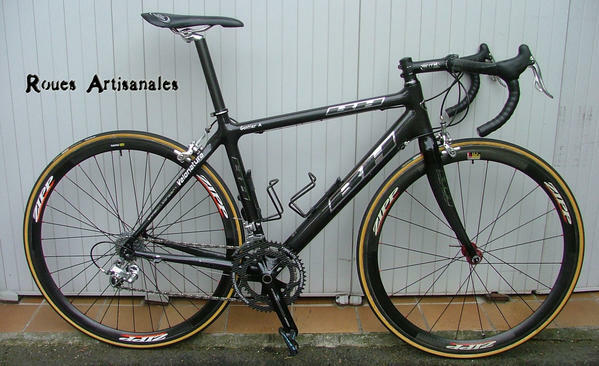 Today was the first ride with the Fibre-Lyte carbon chainrings Roues Artisanales could get thanks to Fairwheelbikes. A short and slow 2 hours recovery ride with a brand new Campagnolo Record CR 5.9mm wide chain and a cheap new Miche 10s cassette used on training wheels. So my first feeling riding these chainrings is that I simply couldn’t notice any difference with the traditionnal alloy ones while riding normally. 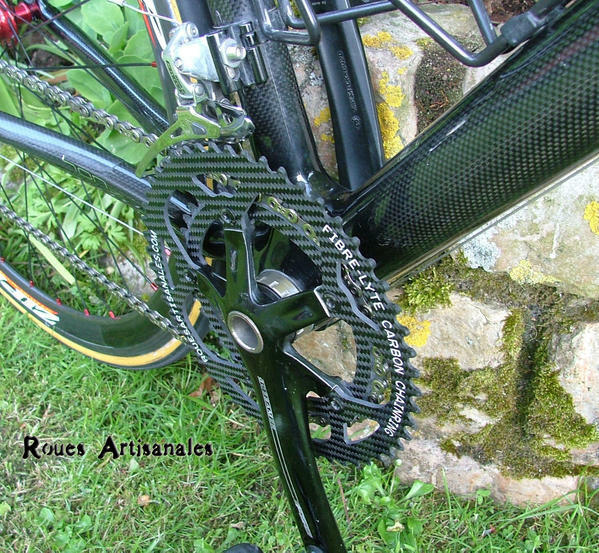 Gear changes are pretty quick, quicker than with the FSA Pro Road chainrings I used before. I’ve been well surprised by the quality of the shift though. I didn’t expect them to be that good to shift. After a few kilometers, my legs got better and better and finally I decided to do some accelerations even it was a recovery ride. The big chainring went easily out of shape each time I pushed the pedals, I definitely didn’t find them stiff although I could read they were stiffer than alloy rings. It was no problem of course but I’d like to mention they’re flexier than the previous rings I used. I didn’t try to shift to the 53 teeth chainring under load yet but I’ll try it tomorrow.